If you’re like the average company, you’re investing thousands of dollars on printing, copying, faxing, scanning and distributing information – it may be more than you realize. We’ve found most companies focus on the hardware and supply costs and forget about the costs associated with employee interaction and workflow. It can surely be money well spent if done correctly, but costly when it isn’t. So, how can you really know your total print costs? A comprehensive office technology print assessment of your organization's output devices, printing costs, monthly usage and the soft costs will give you the information you need to determine your true total cost of ownership. In the end you will have a complete understanding of how your dollars are being spent and how effectively your equipment and processes are working. There are many ways to save money on printing costs and if you aren’t doing them already, your technology assessment will bring these options to light. They may be as simple as changing your default settings from color print to black and white or one-sided print to two. Printing in black and white is much cheaper than printing in color and printing two-sided could cut your paper spending in half. It can be that simple, but it’s easy to miss. The assessment will help you discover what types of printing your company does. 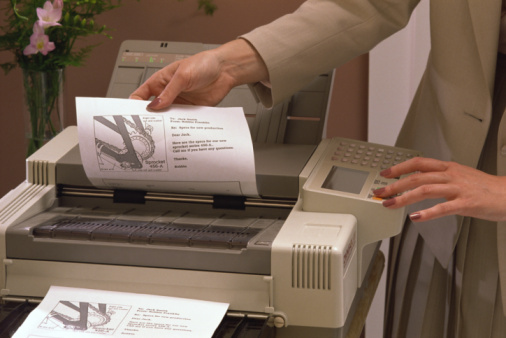 As an example, if it’s mainly document printing, and you are using inkjet printers, you’ll want to look at investing in a laser printer or multifunction device because it is more cost-effective for this type of printing. How does your company compare? If your averages are higher than these, there may be an issue with your machine or the toner or ink cartridges you are using. How Many Different Types of Printers are you Using Today? We find many offices have an array of office technology products that are capable of only doing one thing – copy, print, fax or scan. Each machine consumes counter or floor space (and if they are older machines, they likely take up a lot of space). By combining all of those products into one, multifunction device you could free up a lot of office space. In addition, having many different brands and models increases your administrative, service and supply costs and makes it more difficult for employees to efficiently use the equipment. Can you email from your printer? Can you send a scan directly to your inbox? Are these features you wish your office technology had? Through assessing your equipment and your business goals and daily activities, inefficiencies and wish-lists will surface. The capabilities of office technology are endless; a technology assessment can help you determine what features you need to improve your office productivity and save money. Technology improvements happen at the speed of light, or so it seems, and your needs may change as well. You might wait to buy a copier today because you are thinking three months down the road there will be a much better, faster and more efficient one. And what about six months from now? A technology assessment will help you create a plan for staying up to date on ever-changing technology and keeping pace with your business growth. If you have a business plan for growth, it makes sense to have a technology plan that supports your growth. Request a free technology print assessment today from one of our experienced, technology advisors.